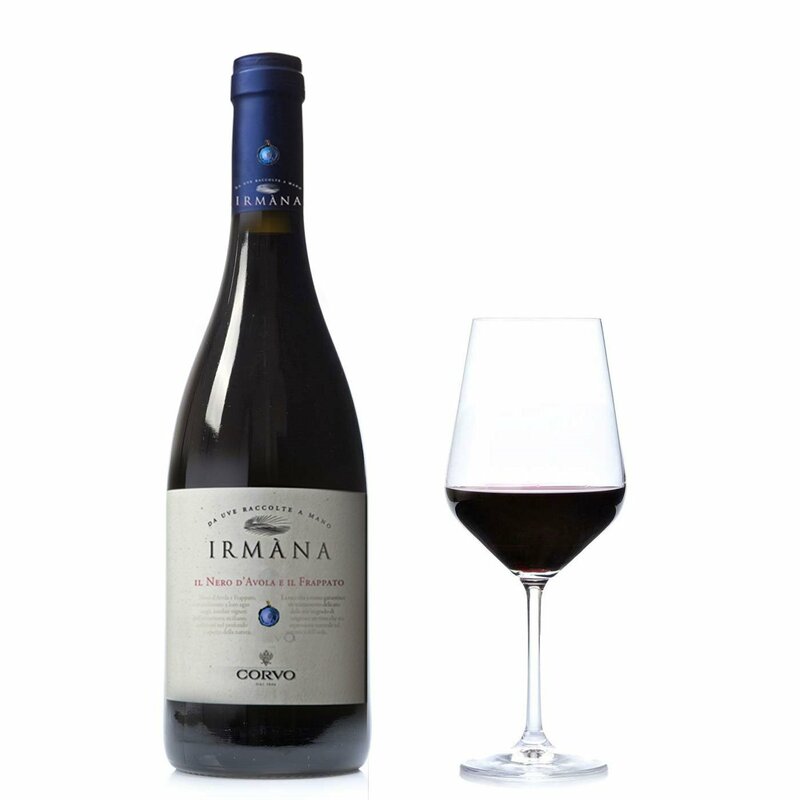 Irmana Rosso by Corvo is made from a blend of Nero d’Avola and Frappato grapes: a full-bodied red wine that evokes the aromas of the Sicilian countryside in May. In the glass this wine reveals its beautiful ruby red colour with purple highlights. The bouquet is redolent with rose and morello cherry. The flavour is rounded on the palate and finely balanced with appealing fruit notes. Alcohol 12.5% vol. Serve with elaborate poultry and richly flavoured fish or semi-matured cheeses. Corvo is a Sicilian label that can boast a winemaking tradition going back more than two centuries. Corvo wines express a distinctive personality and great appeal, which is largely due to the vintner's profound respect for the natural environment, soil and sunshine of its Sicilian estate, the place of origin of these superb wines.